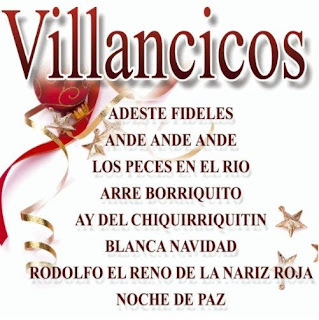 When I searched Amazon for songs on las posadas, I got a whole list. But three in particular stood out in my eyes...er, ears. If you follow the link their Amazon page, you can listen to a sample of each one. I'm so happy to share these three inexpensive and very different versions that would delight any Latino household. ﻿Las Posadas/Entren Santos Peregrinos by Donna Peña is a beautiful version that immediately brings to my mind the memories of my youth. Sung by adults, this slow and lyrical song might work best for more serious situations that demand a bit more sophistication, or as calming music before your child's bedtime. 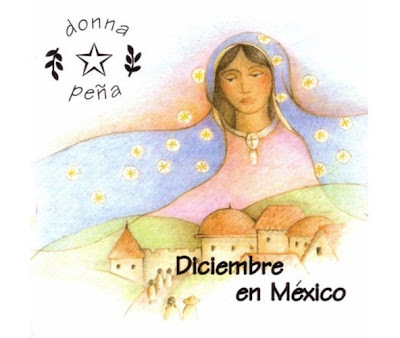 It is available on her album, Diciembre en Mexico ($8.99), or as a single MP3 for $.99. It is also available in a CD format ($36.75 and up). 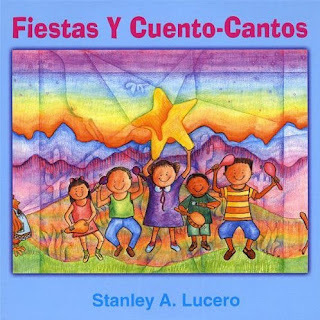 ﻿Las Posadas with Violin and Guitar by the Stanley A. Lucero. This instrumental version would work really well as background music for an actual posada. I think teachers might also enjoy this version for teaching their students the song for a performace without the disctraction of the vocal accompaniment. It is available on his album, Fiestas y Cuento-Cantos ($8.99), or as a single MP3 for $.99. It is also available in a CD format ($20.36). ﻿Las Posadas by the Christmas Children's Choir. I love the joyful sound of children singing this traditional song! I can see how this particular version would be a hit in homes and classrooms around the world. It is available on their album, Villancicos de Navidad ($8.99), or as a single MP3 for $.99. It is also available in a CD format ($15.99).